Vancouver is the place to be once the leaves start turning colourful in North America. As you leisurely stroll through the Stanley Park, the crisp air and sweeping waterfront views will provide only-in-autumn photo ops. 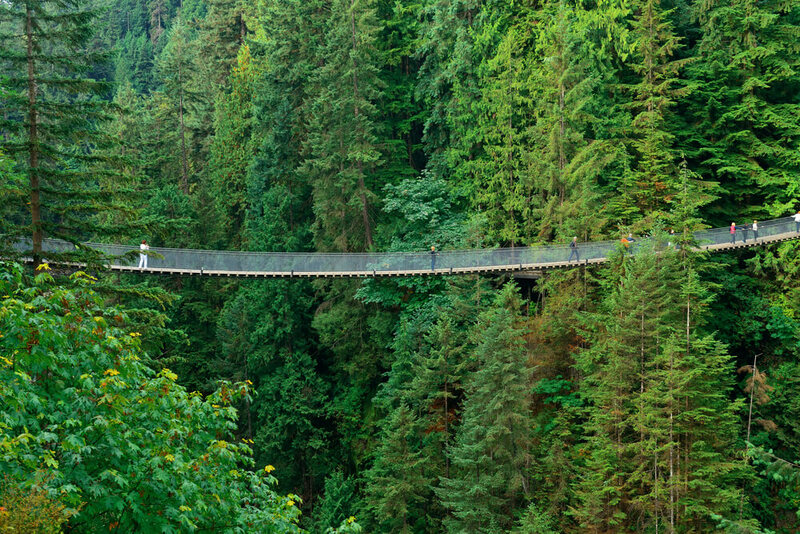 Visit the Capilano Suspension bridge for stunning views of the downtown and check out the lively Granville island with its vibrant boutiques, galleries and scenic lanes. In October, travellers can enjoy the sights of the Vancouver Halloween Parade and Expo. Climb the Grouse Mountain, built of big wooden steps, a challenging yet fulfilling hike or take the gondola to go up. Ride the Aquabus to enjoy Vancouver’s spectacular waterfront scenery. Any holiday to Vancouver is not complete without a day-trip to the beautiful Victoria island. The colours of Butchart Gardens near Victoria in autumn will form an unforgettable memory of your trip to Canada. 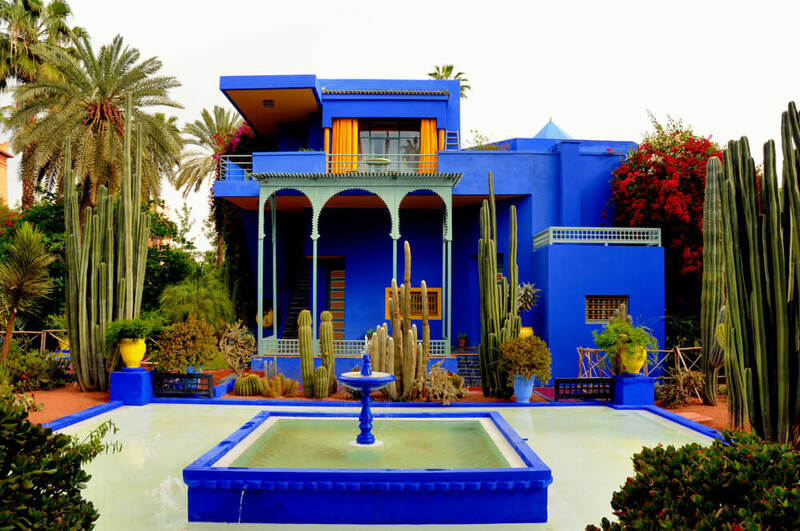 The charm of Marrakech is inexplicable, with its blue architecture, bustling bazaars, the fragrances of the souks and the wisps of sand in the Sahar desert. In October, the summer heat has subsided and it is indeed the best time to visit this mystical land. Lose your way in the maze of souks in Medina, with tiny alleyways leading to Semarine and Mouassine with carpets, spices, blankets and more. Spend an evening in the Jemaa el Fna and enjoy the Moroccan culinary highs. See the iconic Koutoubia at sunset and marvel at the perfectly sculpted Bahia palace. If looking for relaxation, head to the Jardin Marjolle. With enchanting little lanes, magical trees and over 300 species of stunning plants and tranquil streams, it is a perfect break from the busy city. Go for a desert camp and 4WD adventure for an authentic Moroccan experience. The chaos of Hong Kong is unbeatable. 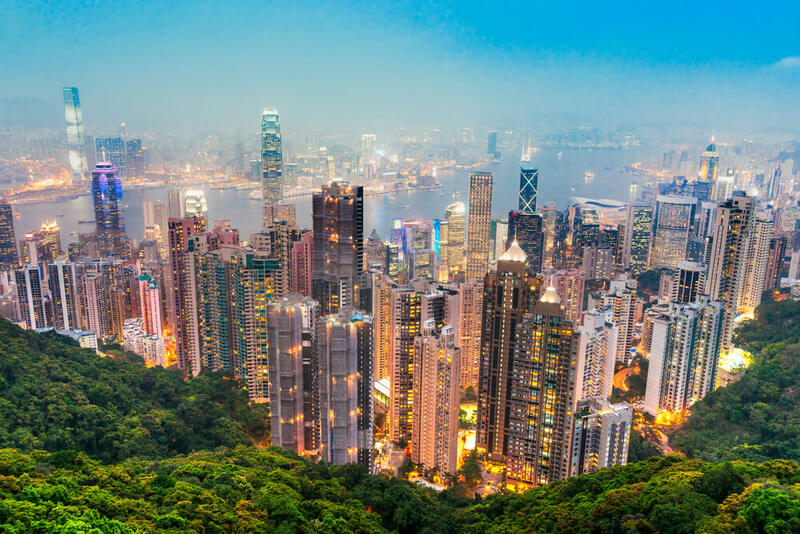 With its glittering skyscrapers, one of the best ways to explore it is on a helicopter ride. You can even dine in the air while looking down at the many yachts and boats in the harbour. Visit the Ocean park and be an honourary Panda keeper for an hour, a job you will love to take! Travel on the peak tram and explore Hong Kong from a different perspective whizzing past colonial buildings. Cruise on the Star Ferry by Victoria Harbour and be amused at the 3D interactive museums with vibrant installations. Kids and adults alike, love the Disneyland in Hong Kong. Take the cruise to Las Vegas of the East, Macau. Try your luck in gambling and enjoy the island’s extravagant nightlife for a couple of days. Visit Munich when the Oktoberfest is on full swing with colourful parades and performances. Watch river surfing and take a sauna bath in one of the traditional baths in the country. Stroll in the scenic English Garden, discover this historic city on a bike and spend time at the Marienplatz square. BMW Museum is a must for automobile enthusiasts. 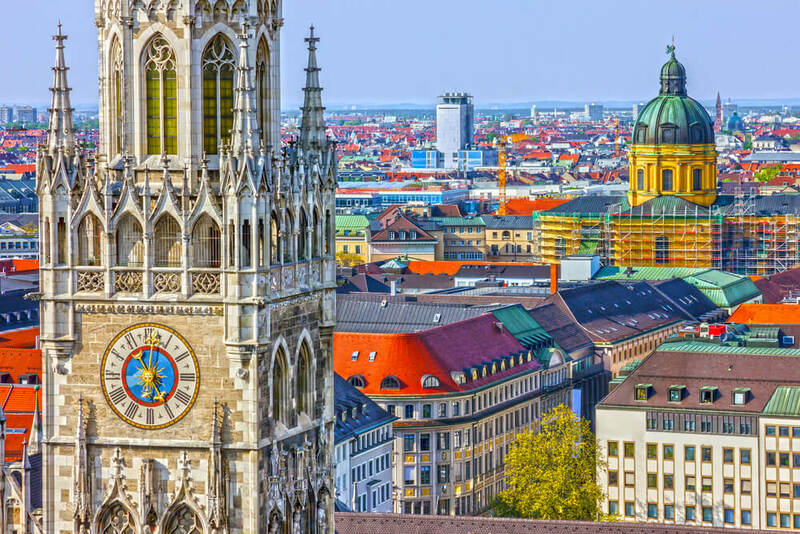 Take in the panoramic view of the city from the tower of the St. Peter’s Church and marvel at the graffiti on the streets of Munich. Make a trip to the ethereal Neuschwanstein Castle in the enchanting old-world town of Fussen. Explore the Viktualienmarkt, a farmer’s market with local produce on display. Gain insight into the Holocaust of World War II on a tour of Dachau Concentration Camp Memorial Site and visit the summer residence of the Bavarian kings, the grand Nymphenburg Palace. 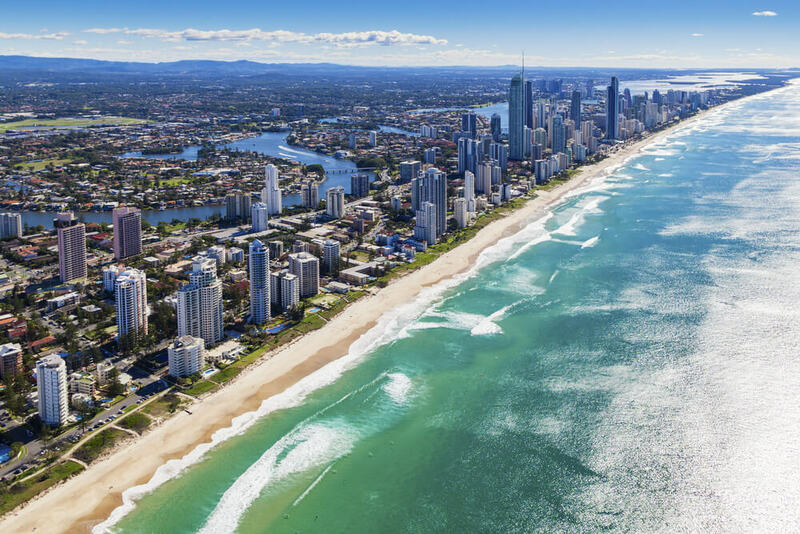 Beach breaks, coastal villages, world class theme parks and surfing holidays, Gold Coast has you covered. Stay in Surfers Paradise and swim and surf on some of Australia s best beaches like the Broadbeach. Frolic in the Wet n Wild theme park, have a date with the dolphins at Sea World and enjoy watching your movie characters parading along the streets at the Warner Brothers Movie World. Beyond beaches too Gold Coast is beautiful. Take an early morning Hot Air Balloon Ride that ends with a champagne breakfast in a vineyard. Explore the magic of the great Hinterland walk, where one can pass through lush green rainforests of Lamington and Springbrook, home to an ancient volcano and gorgeous waterfalls. Hand feed Kangaroos and cuddle with Koalas at the Currumbin Wildlife Sanctuary. If nightlife is your thing, Gold Coast has plenty of options there too.